It’s no secret that brands need more content every year to fuel their marketing campaigns and engage with their customers. Many marketers have invested their creative resources into custom content in order to present a unique brand identity to the marketplace. Consumer demand for content is rising year over year. People want to be educated, entertained, or intrigued by content on a regular basis. But since custom content is custom-made, you need to create lots of it to match the expectations of consumer demand. What if your marketing team is limited in size or scope? What if you have limited budgets or resources available for content creation? How does that impact your ability to customize assets and provide your audience with the content they crave? Here’s an undeniable fact faced by today’s marketer. Consumer expectations for content have risen to new heights, and continue to climb year over year. But the resources available to create all of that content have remained flat with little if any, expectations those circumstances will change in the foreseeable future. Suppose, for example, you have an idea to run a marketing campaign for a particular season. But that idea wasn’t factored into your original marketing plans at the beginning of the year. Can you realistically expect your creative team to produce seasonal content, within a limited timeframe, and ensure it’s on-brand while running for a very short period of time? Since the rise of social and digital marketing channels, there are vast opportunities to promote content to your target audience. You need to consider how people consume content on each of those channels in order to position your content in a way that yields the greatest results. Take Instagram for example. 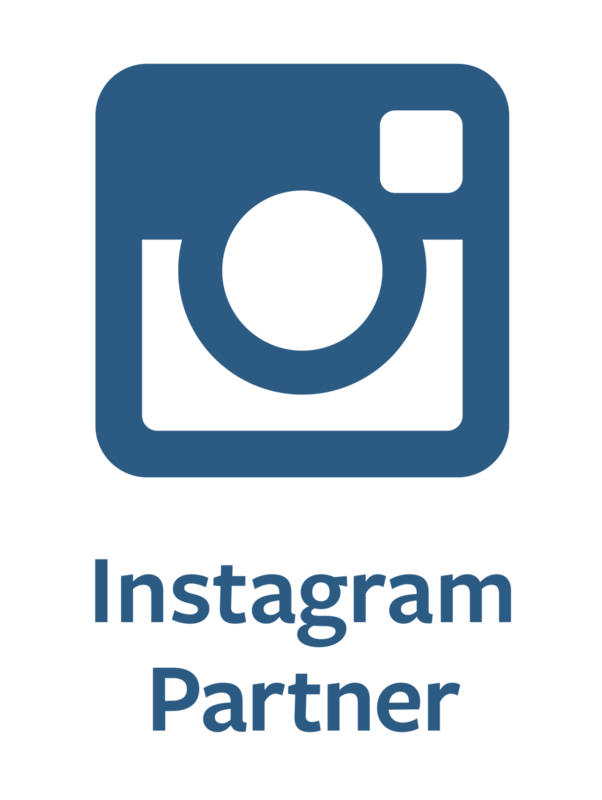 Instagram has become one of the world’s most popular social networks with over 700 million active users of the platform. It’s a very visual platform with updates shared by millions of users each and every day. Instagram also provides its own creative tools to help you customize your content. Think for a moment about how people interact with Instagram content. Statistics show that the majority of consumption occurs via mobile app, which means thumb-scrolling behavior factors into your creative plans. When people scroll through mobile news feeds, they’re bombarded by thousands of new pieces of content each and every time. It’s very easy for brands and individual updates to get lost in the clutter, and extremely likely for all of that content to morph into one giant blur after a certain period of thumb-scrolling. This means that a piece of content you push out through your feed could be buried in a stream filled with thousands of other updates within moments. Is it really worth the amount of time, energy, and resources labored by your marketing team if the content is lost and forgotten in those news feeds? Given that social news feeds on Instagram and other channels are increasingly cluttered, maintaining a prominent presence in those feeds is incredibly challenging. Unfortunately, traditional creative processes are too slow and cumbersome to keep up with the demands of mobile and social content consumers. Content consumption has dramatically changed. Therefore, content creation also needs to change. You need a process that’s agile and allows for the creation of on-brand content at scale. At the same time, you need to maintain a consistent visual identity throughout your content while ramping up production. Consistent styles, angles, colors, and environments help people who view your content in their news feeds recognize the brand behind the visual. As you increase the amount of content you promote into news feeds, take care to both establish and maintain a consistent visual identity. The more that people see your content, the more they’ll identify your brand as the provider. Technology helps you achieve your objectives with content creation. You can ensure consistency across all assets, connect with specialized creative talent in different markets, accelerate content production, and maximize your visual presence with your audience. You can increase your creative capabilities without sacrificing anything in terms of a consistent visual identity or the quality expected by your brand and your customers. Technology helps you do more with fewer resources, which improves the reach and visibility of your brand to the people who matter most to your business. At the end of the day, marketers want to be able to do their jobs efficiently and effectively. They want to make creative decisions that are in the best interests of their brand. Most importantly, marketers want to avoid being placed into a position where saying no to content creation is the only option on the table. Technology is your best option to increase the amount of content you create in a calendar year, and customize all content to your brand’s unique visual identity. It’s a valuable addition to your existing process, and it’s worth adding into your creative workflow. To learn more about how you can increase the amount of content your marketing team creates, book a demo and speak to one of our representatives about how our custom content creation platform can amplify the production of consistently on-brand content.